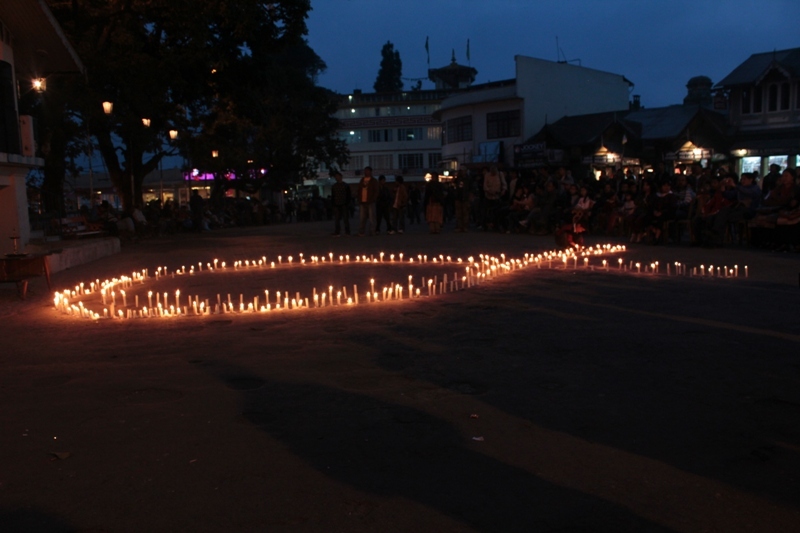 International AIDS Candlelight Memorial is observed on the third Sunday of May every year. 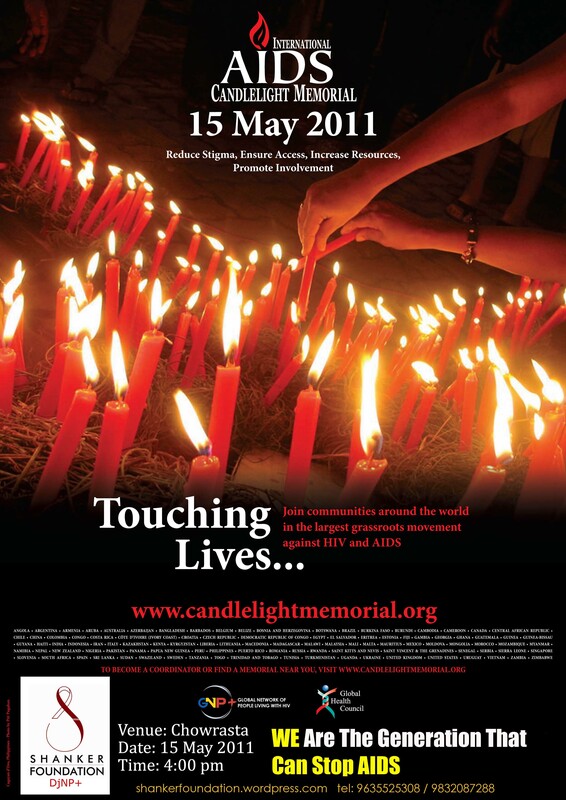 This memorial is held in memory of people who lost their lives to HIV/AIDS. In remembering those who died due to the virus we strengthen our pledge to fight for the rights of people living with HIV/AIDS. 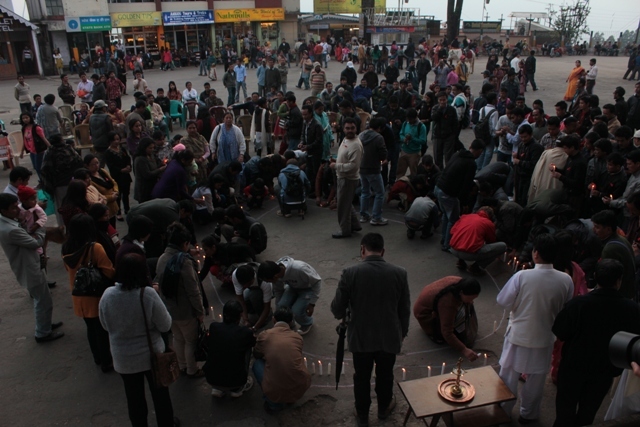 This year, Shanker Foundation, Darjeeling organized the Memorial in Chowrasta. 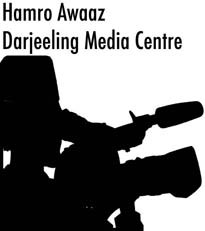 Chowrasta is a place that is visited by hundreds to take a walk or just hang about in Darjeeling and therefore apt to hold the Memorial. The Memorial this year had more participants and more people. 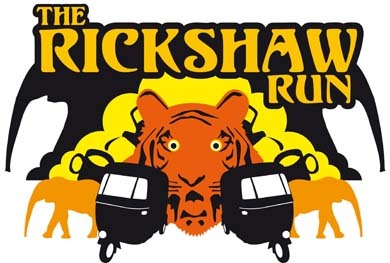 It is now an annual program that Shanker Foundation observes since 2008 though the history of the International Candlelight Memorial stretches much further and started in 1983. Gurus from Gurudwara, pundits, Buddhist monks, Catholic priests, members of the Pranami and Brahmakumari sects lead us with their prayers. 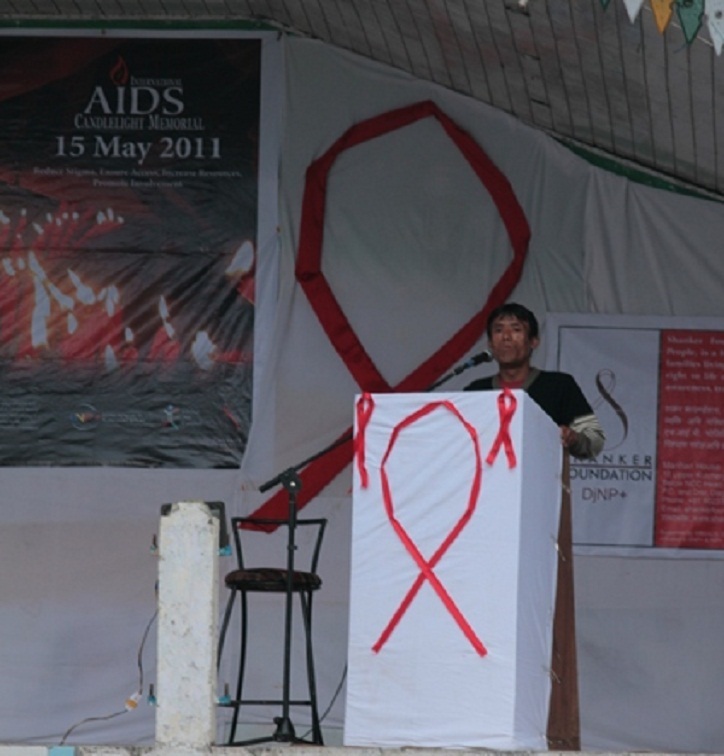 Each prayer was recited differently but was alike in their aim to pray for the souls of people who passed away and those living with HIV/AIDS. 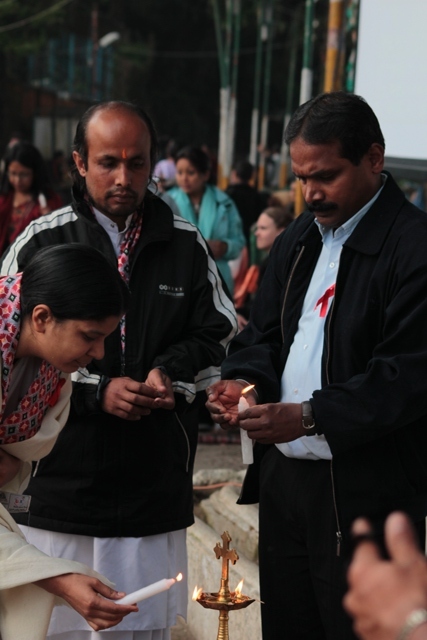 Pratap and Ghanu who are members of the Foundation spoke about living with HIV/AIDS along with how they came to accept their positive status and the changes they brought about in their lives. They spoke powerfully on the issue and brought forth a sense of empowerment they have in sharing their stories with people which in turn help in changing lives of others infected or affected by HIV/AIDS. Positive speakers are powerful catalyst who bring the emotional and most importantly personal aspects of the issue to the fore and make us realize that we are not dealing with just an “issue” here but people. 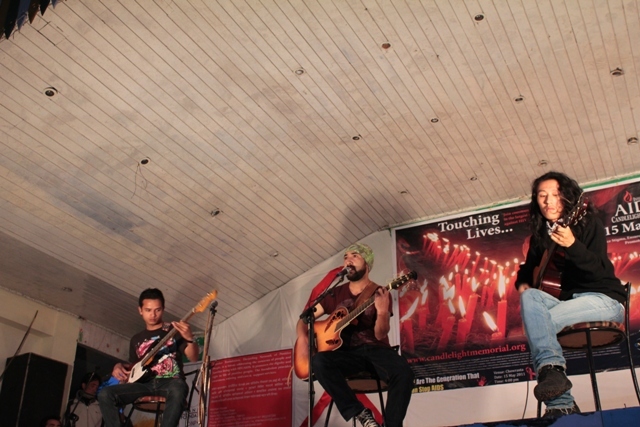 The prayer service was followed by music; young and upcoming bands like the “Laidback” and Darjeeling Hills based artists brought the young to their feet but kept the focus on the issue as well. 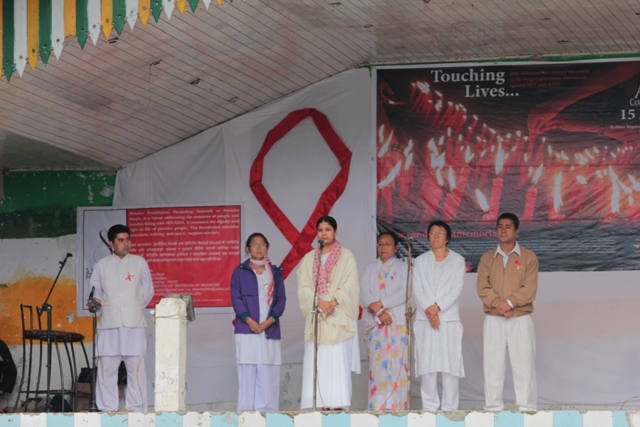 A short documentary on HIV/AIDS made by the Mass Communications student of St.Joseph’s College, Darjeeling gave a local perspective on the issue and showed that the youth of Darjeeling are aware of the facts relating to HIV/AIDS. 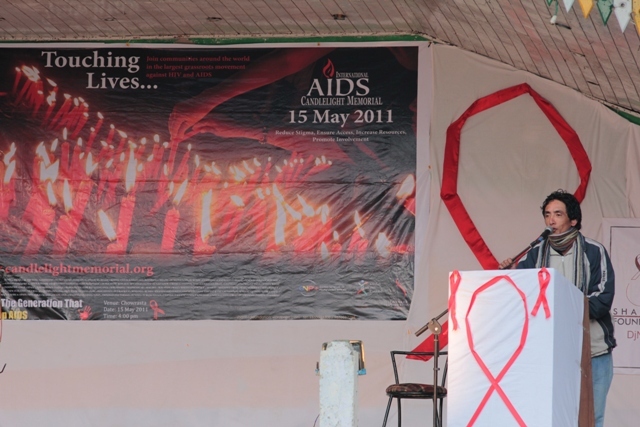 As an end note, I feel the Memorial in May seems like the right time to bring up the issue of HIV/AIDS since it’s the middle of the year. It is important to keep the issue in the public consciousness throughout the year and not just on the 1st of December which is the International World AIDS day.